The latest in a series of interviews with cool, kickass people making the time to do what they love! Virginia and I go way back. While we attended the same high school, it wasn’t until I dated a mutual acquaintance that we really started to get to know one another. I’m thrilled I didn’t lose her in that breakup as through the years, in addition to having a lot of laughs together, we’ve also worked on some cool projects–a book about Painted Furniture among them. 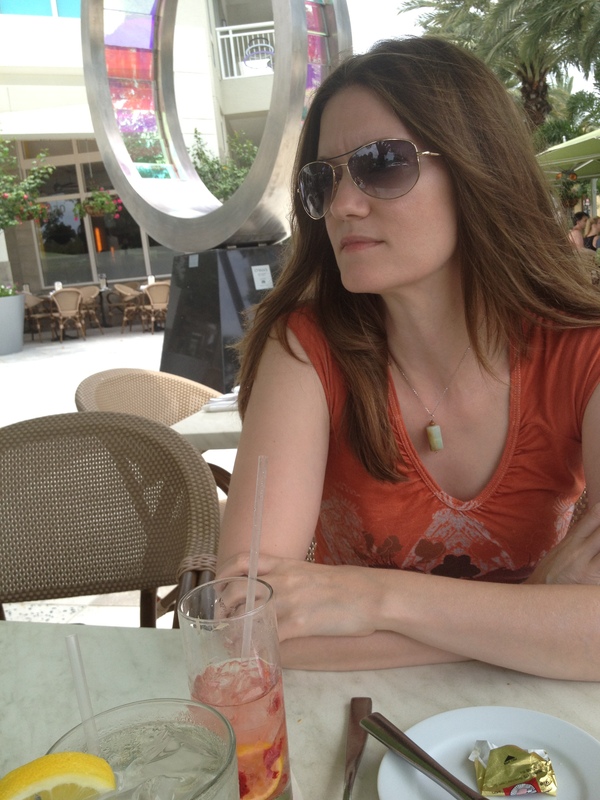 One of the really amazing things about Virginia is that her creative life is something she accomplishes on the side: She has an MBA and a pretty big job in Internet marketing for a huge publication. And she is the only person I know who can design in Excel. (Don’t believe me? Keep reading!) Talk about combing talents! She inspires me because she’s all about the “Stolen Moments”, finding the time to do what she really loves despite a hectic schedule. 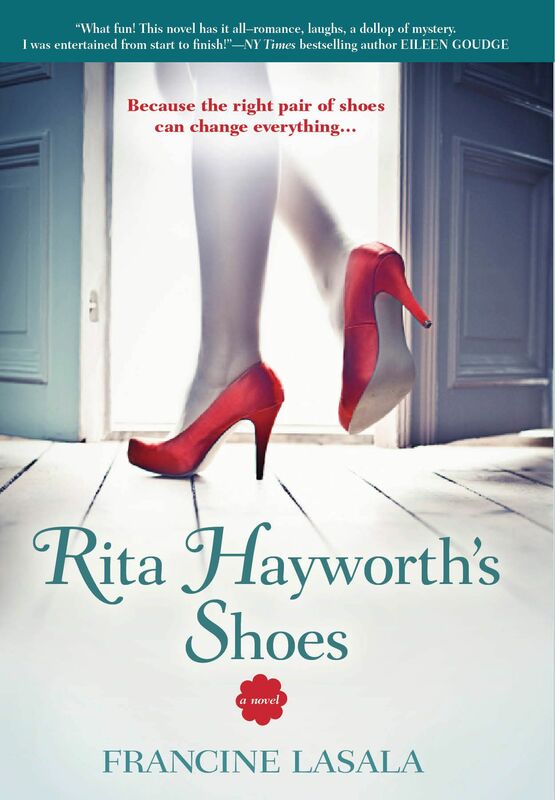 An incredibly creative and talented woman, Virginia helped me promote Rita Hayworth’s Shoes recently by creating a slew (more than 200–amazing, right?) 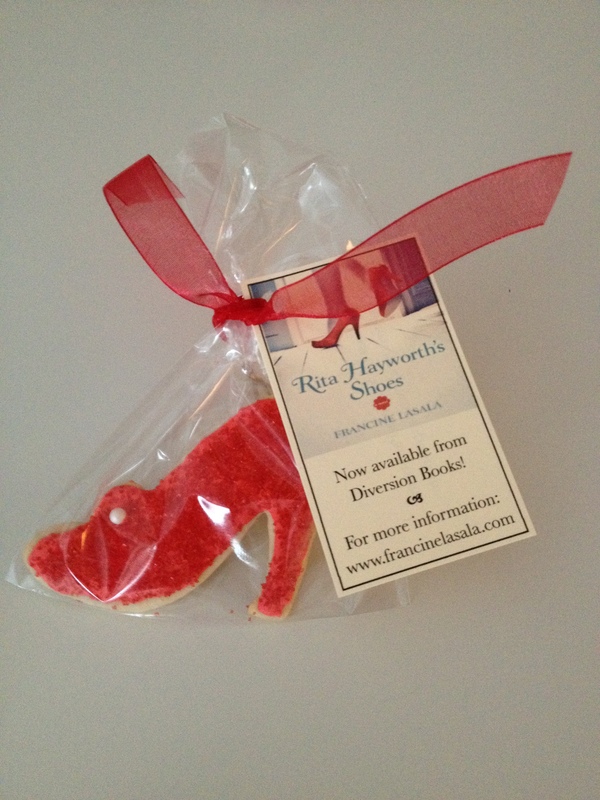 of pretty, delicious red shoe cookies to distribute at this year’s Book Expo! 1. You’ve loved doing inventive, creative things as long as I’ve known you (I still have that gorgeous Chagall-inspired bowling pin you painted!). Tell me how you got into baking. My family has always been big on baking, so I grew up making every kind of baked good from scratch. However, my least favorite thing to make from scratch was pie crust. So after a few years of defaulting to a Jiffy pie crust mix to make Thanksgiving desserts (I insisted on making all the pies for the holiday), my sister pulled me aside one year to tell me just how bad the crust was. Of course I was horrified, especially because she is an exceptional baker, and I don’t take criticism well. But rather than get upset, or give up on pie crusts entirely, I challenged myself to find a pie crust recipe that I could perfect. The recipe that I’ve been using ever since is the basic pie dough from Williams-Sonoma’s Pie and Tart Cookbook. Once I felt comfortable with the quality of my pies, I started challenging myself to other baking projects, as well as entering pie baking contests, starting a blog about baking, etc. 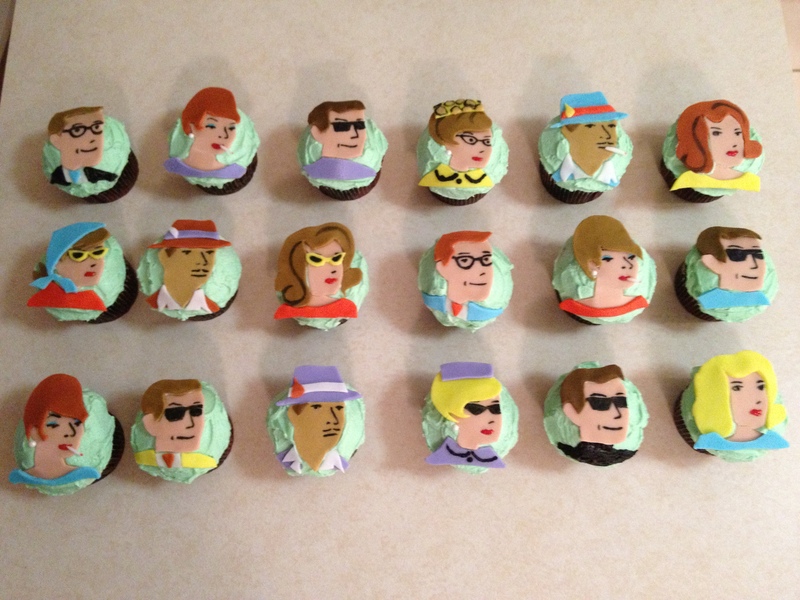 Cupcakes made for a Mad Men party. The inspiration and steps are all on Virginia’s blog. Go check it out! 2. Everyone whose had the pleasure of tasting your creations know they aren’t all show–that your stuff is as amazing to eat as it is to look at. Where do you get your inspiration to design your treats so beautifully? I’m big on presentation and a bit of a perfectionist when it comes to decorating. I’m also very much inspired by the amazing talent of Martha Stewart. I really admire her creativity and do my best to emulate her style. Also, I have made some treats as favors for bridal showers and weddings, so the presentation really has to be perfect for those types of occasions. 3. What made you decide to create the Pienography blog? And has it motivated you to bake more than you normally would otherwise? And how do you find the time! In 2009, I had entered and won first place in an apple pie baking contest. I started entering more contests and I felt like it would be fun to write about and document the baking process and the challenges I set for myself. There was one pie contest I had participated in at a hipster bar in Brooklyn, which resulted in an invitation to partake in a pie-focused episode of the Martha Stewart Show. Every member of the audience was asked to bake a pie, which Martha and her team of experts judged. In the weeks leading up to this event, I thought it would be really amazing to document everything. So that’s where the blog was born. It definitely has motivated me to bake more since I started the blog, and has evolved to encompass a lot more than just pies. A group at work formed a baking club about six months ago, which has led me to bake and blog a lot more than before. 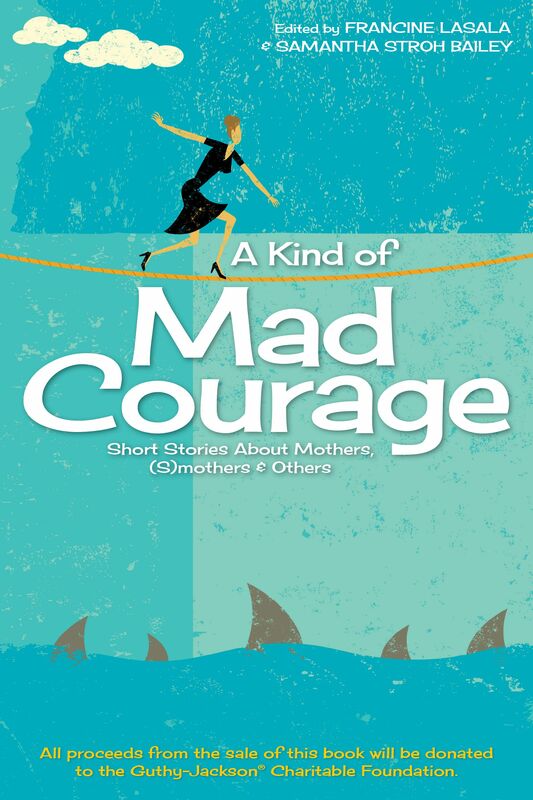 It is very challenging to post entries, and I’ve never claimed to be a good writer, so I try to focus on the imagery and come up with a few interesting quips here and there. 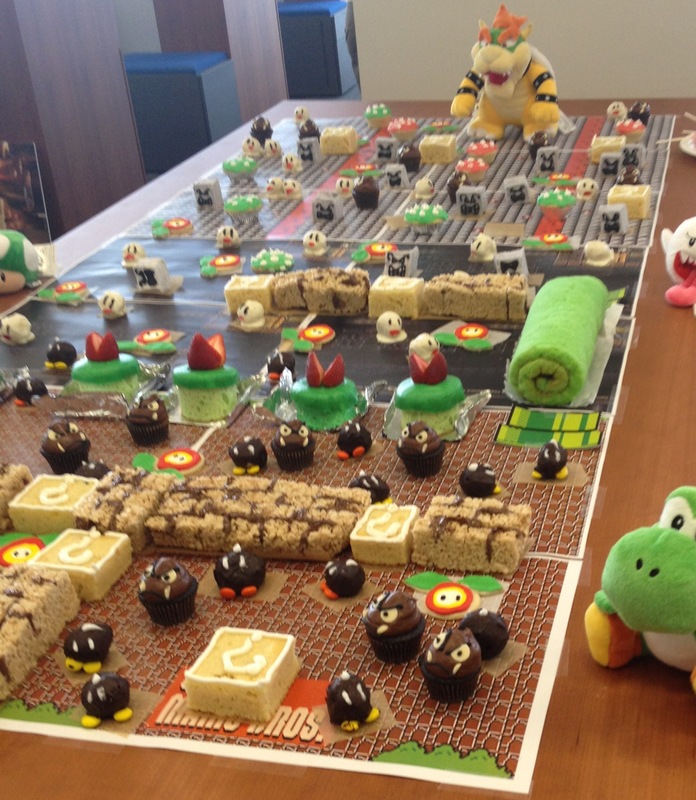 A whole sweet Mario Bros.-inspired world created for the Baking Club! 4. Can you tell me about some of your other creative endeavors? Well, I was born and raised in cold Minnesota until the age of 12, so my family spent many long winters trapped indoors. To cope with the situation, we’d work on various creative projects–sewing, knitting, drawing, and painting–though it wasn’t until my family moved to New York that I discovered quilting, and made and sold a few quilts before I graduated high school. I recently picked up quilting again, doing mostly baby quilts. I also enjoy sewing simple home decor textiles, such as curtains, bedskirts, and throw pillows. Painting and drawing are other hobbies I have kept up with, although I feel they are not my strongest creative activities. I enjoy re-purposing items (such as painting images on old bowling pins, or refinishing a piece of furniture to give it new life) and I would really like to get into upholstery. 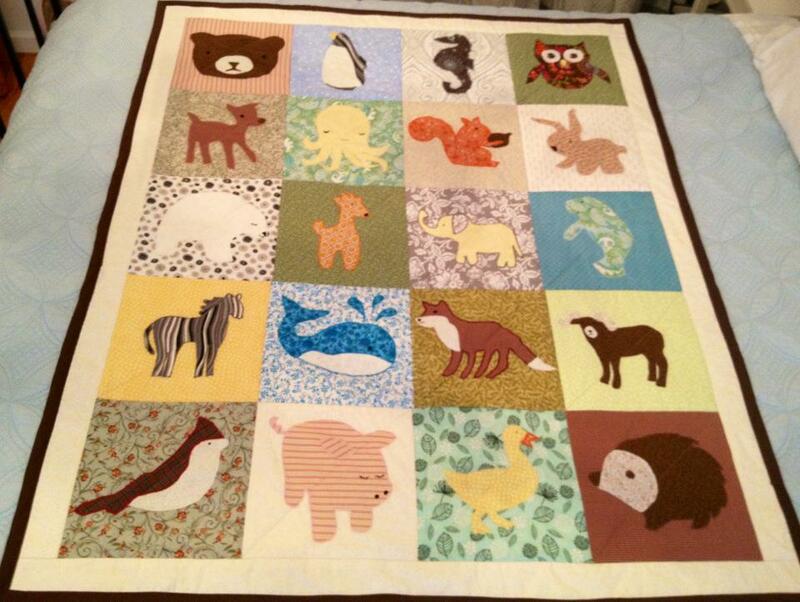 A quilt Virginia made as a gift for a friend expecting a baby. Beautiful! 5. Do you ever think about throwing in the proverbial towel on the marketing game and pursuing baking or a career in the arts full time? Believe me, I would love to do that. But for now that is only a fantasy of mine for when I win the lottery. For now, I’m satisfied with keeping this as a hobby and I especially enjoy the happiness I bring to others through my baking. One area that I feel might have career potential down the road is in party/events planning. I really enjoy making favors on a large scale (I once made 180 jars of homemade jam for one friend’s wedding favors, and 200 bags of heart-shaped frosted cookies for another’s). I also create and print my own labels. I don’t own any design software, so I make due with what I have…I found that Excel works pretty well. If there was an opportunity to make a career change, I might invest in the proper software! BONUS QUESTION: Any chance you’ll share your Lemon Squares recipe? Preheat oven to 350 degrees. Mix together and pat into 9×13″ pan. Bake for 20 minutes or until light brown. While first layer is baking, beat eggs and add remaining ingredients. Pour over baked crust and continue baking for 15-20 minutes until set and custard like. A huge thanks to Virginia for visiting the Shed! If you’re new to here, stay a while and have a look around. We’ve had a few interesting people visiting here, and more are lined up for the summer. If you’re a fan of Lemon Squares, be sure to try out Virginia’s killer recipe. And please leave her a comment. She will see it! Don’t forget to head to her blog at http://pienography.blogspot.com/ to see the latest from this super-creative, talented gal! 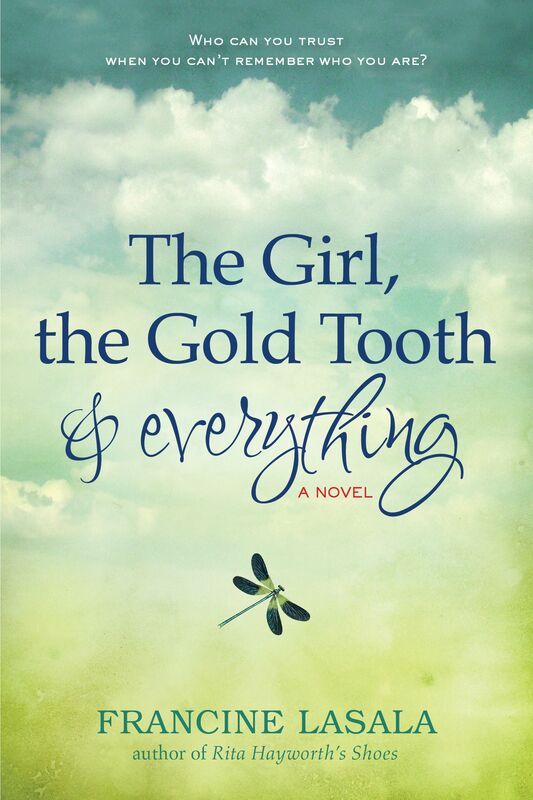 Five For Friday: Revist With Novelist Meredith Schorr!